Possible Health Risks to the General Public from the Use of Security and Similar Devices. Munich: International Commission on Non-Ionizing Radiation Protection; 2002. ISBN 978-3-934994-01-0. Content: The primary objective of this advisory document is to address the important issue of possible adverse effects on public health and exposure to pulsed and continuous wave (cw) electromagnetic fields (EMFs) associated with the use of electronic security and similar devices. 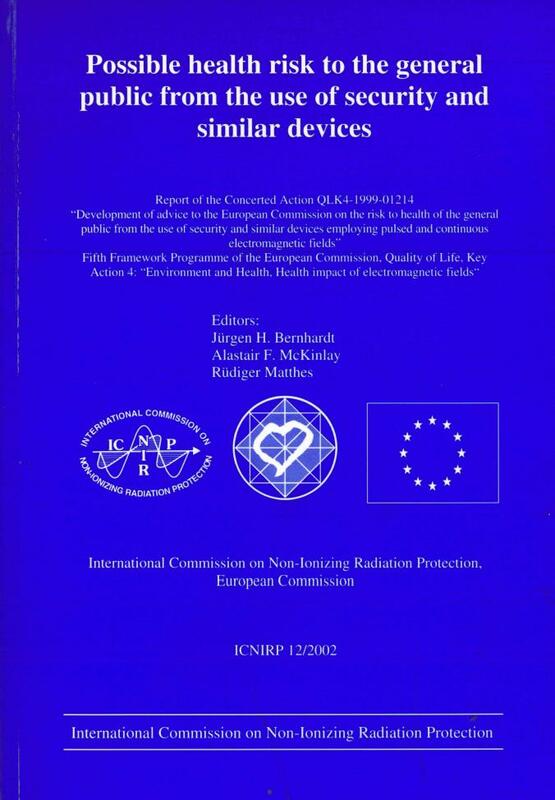 Secondary objectives include: a review of the scientific evidence of harm to human health from EMF exposure relevant to the operating frequencies of such devices; a review of the applicability and limitations of currently available exposure assessment techniques and recommendations for future health risk assessment and research needs.